Corona Gorda by La Gloria Cubana is a Toro sized cigar with a very large following. Deep extravagant flavors of rich oak, earth, and espresso have made this a best-seller since Ernesto Carillo first opened shop in Miami many years ago. Packaged in a box of 25. 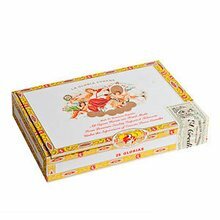 There are better cigars than this. I bought these from JR in a five pack and tried a single from my local B&M shop; skip. When they're good, they're no better than Macanudo Cru Royale; when they're bad, it's like sucking on charcoal. I had a few bad ones. I understand they get through from time to time, but half the five pack and especially the single was awful. My favorite brand but these were not good. They were dried out, wrappers cracked and flaking. Cigars would not stay lit. Wouldn't mind adding this to my lists of smokes. Nice blend nice draw nice construction. What else can I say? Corona Gorda is another fine example of La Gloria Cubano excellence. These cigars have class. Great taste from start to finish. Draw is just right. Can't get any better. Great cigars. Some of my favorites. Tastes great with all the good nuances. The draw couldn't get any better. Construction was second to none. The burn was nice slow and even. Kind of a dry, woody, dirty flavor. Not necessarily bad. Smoke seemed a little week. Maybe it needs to rest in the humidor a little longer. great flavor, but I've had several bad cigars (poor draw, completely dried out, wrapper flakes and falls apart, etc.,). This has happened with two different orders. So, excellent flavor, but expect some quality issues on some of the cigars. 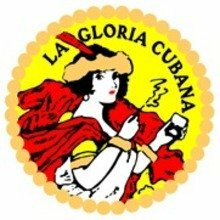 I will continue to buy La Gloria Cubana's because I love the flavor and the price. The La Gloria Cubana Corona Gorda is another fine smoke from La Gloria. A wonderful draw from foot to head. Great smoke very pleased with the flavor of it. Great for any Time of the day. La Gloria Cubana Corona Gorda is a very smooth stogie that is perfect for all cigar enthusiasts, in my opinion anyway. The LGC brand has an excellent reputation and there is a reason for that. Smoke this cigar and you'll find out why.